Did you think the giant bed condom was the biggest condom in the planet? Wrong! 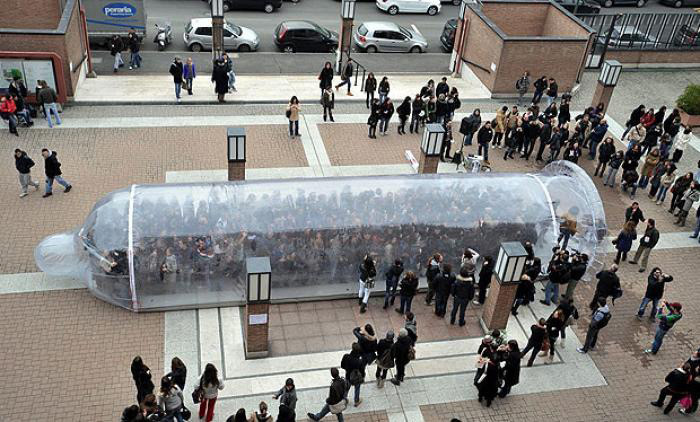 Those Italians have made one for the biggest salami on Earth, one that can fit 230 people at the same time: The Mob Condom.